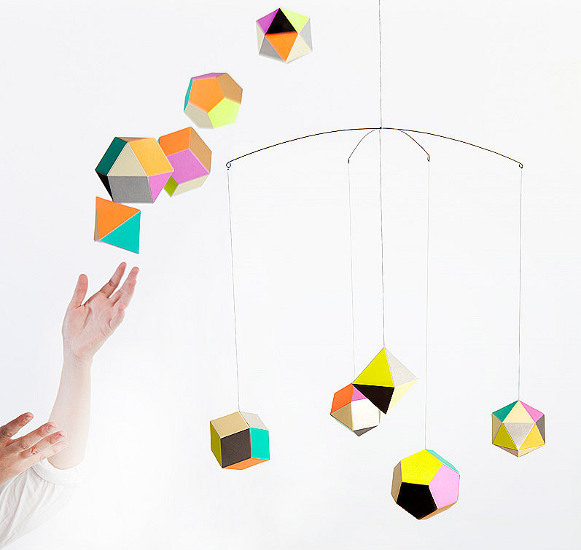 This geometrically inspiring mobile takes origami and geometry to a new level – above your baby’s head. From the Los Angeles-based design house of Artecnica comes the Themis Mobil and yes, you guessed correctly, it’s the work of a Swedish designer, Clara von Zweigbergk. With its paper construction, and mix of fluorescent and pastel colours, it is both strikingly bold and delicate at the same time. And certainly, it’s modern. So if you have the kind of streamlined nursery where traditional animal mobiles just aren’t going to work, then this could be the mobile for you. Even very young babies are sure to be captivated by its colours and shapes as it bobs gently above them. 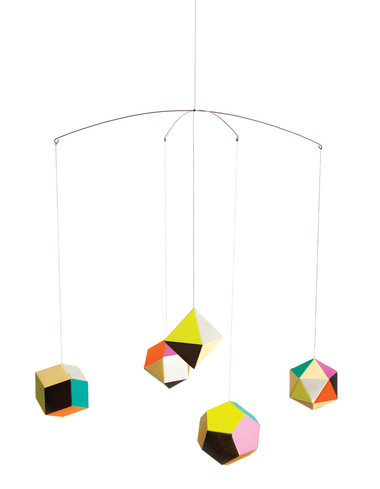 You can find the Themis Mobile at Top 3 by Design for $45. Why not check out our past posts about nursery mobiles while you’re at it.